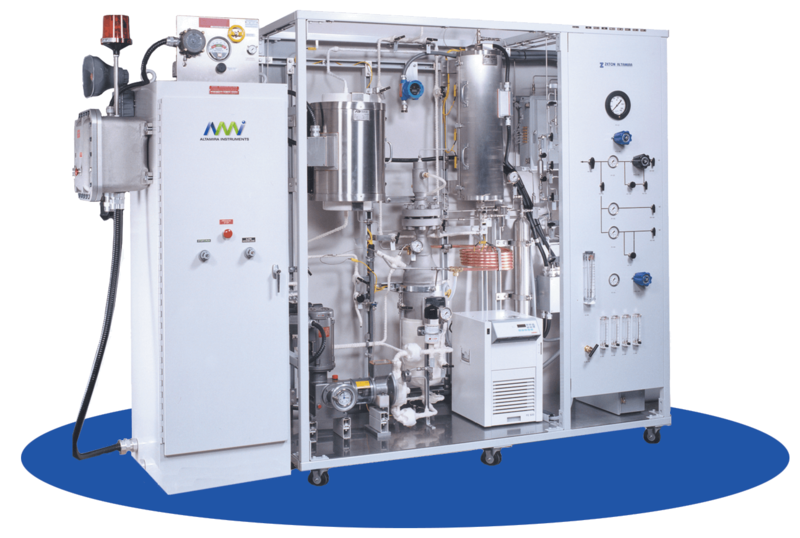 The AMI family of instruments combines a variety of temperature-programmed techniques, including: temperature-programmed desorption (TPD), temperature-programmed oxidation (TPO), temperature-programmed reduction (TPR), and temperature-programmed reaction (TPRx). The AMI family of instruments can also perform pulse chemisorption, dynamic BET, and gas-phase iso-thermal reaction experiments. 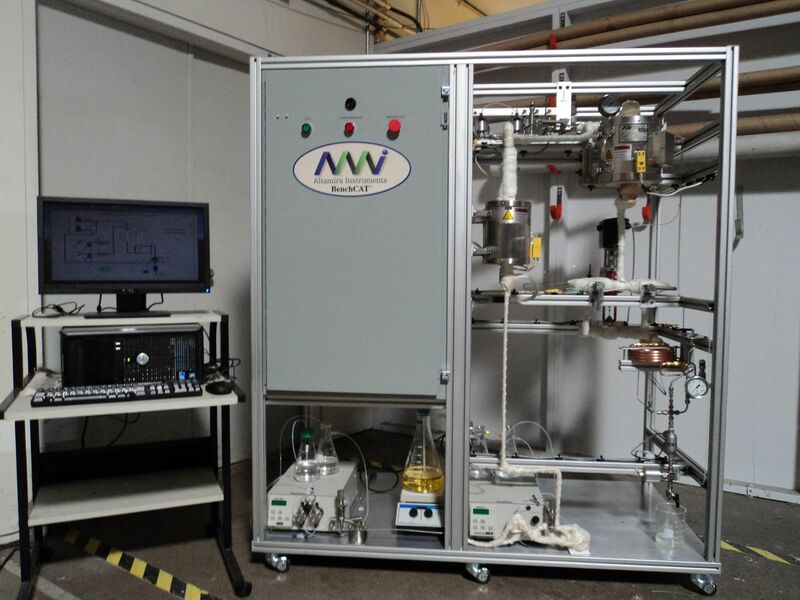 The AMI family includes high-pressure instruments with the AMI-300HP; sulfur resistant models with the AMI-300S, kinetic determining instrumentation with the AMI-300 SSITKA, and the new AMI-300ir for direct determination of adsorption/desorption surface process. 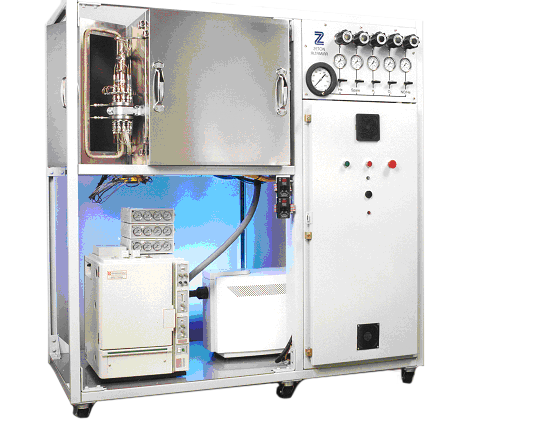 The µBenchCAT represents a complete, bench-top reactor (fixed-bed / PFR operation) for catalytic studies. All components are either in the gas or liquid phase and are contained in a fully automated compact package. A variety of options makes the µBenchCAT suitable for a wide range of studies. The system is perfect for kinetic and activity studies. The BenchCAT™ family of instruments are custom-designed microreactors, which are fully automated and designed for unattended operation. These systems are generally designed for fixed-bed / packed-bed / plug flow (PFR) reactor operation (differential or integral mode), trickle-bed reactor operation, or batch (stirred) reactor operation. In addition, BenchCATs can also be built for CSTRs and even stationary or spinning catalyst basket-type reactor systems. All BenchCATs are designed around: number of gas inlets, number of liquid pumps, flow rates, pressure and temperature maximums, reactor material, preference of control software, and future upgrade possibilities. BenchCAT microreactors can be designed to conduct iso-thermal or temperature-programmed experiments and analyze the effluent with a mass spectrometer, gas chromatograph, FTIR, or your choice of detector. Single or multi-station instruments are available. 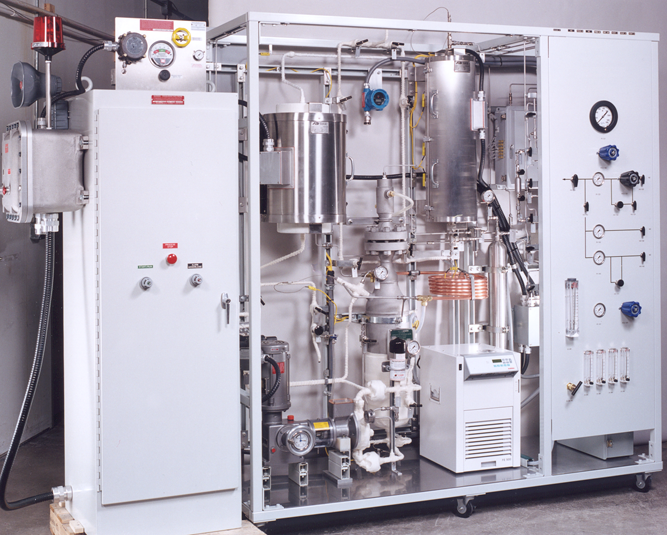 Microreactors built specifically for Biofuel applications are also part of this line of instruments. The Hybrid series of instruments combines the flexibility of the BenchCAT ™ and the characterization capabilities of the AMI family. The user may conduct characterization experiments or reaction studies all in one instrument. The BenchCAT-HTS ™ is a multi-channel fixed bed reactor system used for high throughput screening of heterogeneous catalysts. The scientist may choose 8, 16, or 24 reactors with multiple options for gas and liquid feeds. In addition, Altamira is the North American distributor for Amtech (Advanced Machinery & Technology Chemnitz) high-throughput screening and testing technology, as well as micro-scale pilot plant systems for material and catalyst testing. All products can be fully adapted to specific applications and special customer requirements. Characterization or reactor systems that are specificly designed to handle reactants and/or products that are corrosive, reactive, or unstable. Combines a variety of temperature-programmed techniques, including: temperature-programmed desorption (TPD), temperature-programmed oxidation (TPO), temperature-programmed reduction (TPR), and temperature-programmed reaction (TPRx). 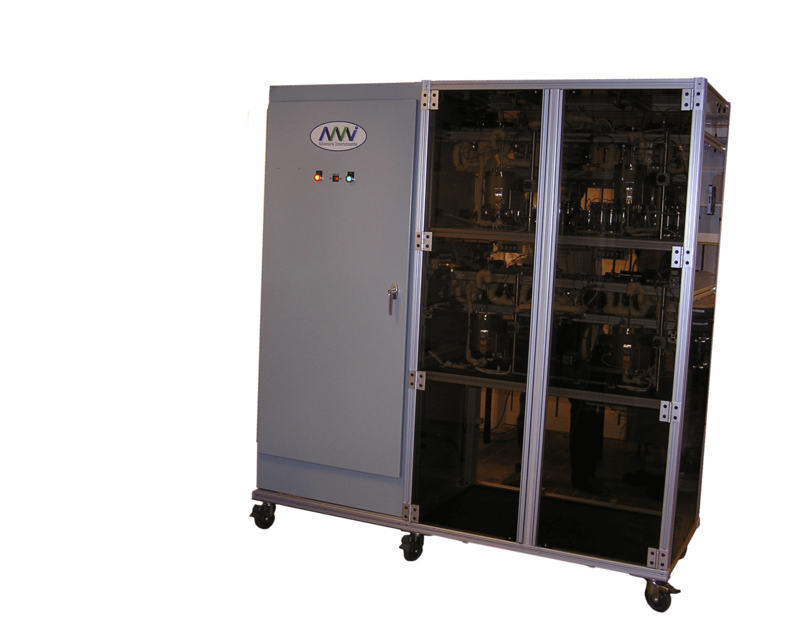 Custom-designed microreactors, which are fully automated and designed for unattended operation. Combines the flexibility of the BenchCAT ™ and the characterization capabilities of the AMI family. A multi-channel fixed bed reactor system used for high throughput screen of heterogeneous catalysts. A complete, bench-top reactor for catalytic studies. This unit consists of one fixed bed reactor for a gas phase hydrogenation reaction. The feed module can deliver three gases and one liquid. The reactor tube is stainless steel and can operate at temperatures up to 600°C at 100 atmospheres. This unit consists of 4 parallel packed-bed reactors with independent gas and liquid feeds. Each reactor features four gas feeds and 1 liquid feed with vaporizer. The reactor tubes can hold up to one gram of catalyst and are stainless steel with operating temperatures and pressures up to 650°C and 100 atmospheres, respectively. This unit consists of a single feed module split to eight parallel reactors. The feed module can deliver three gases and two liquids. Each of the liquids is pumped by a magnetic-drive mini-pump to a liquid mass flow controller. The liquids are mixed and then routed to a vaporizer-mixer capable of heating to 600C. Monolith and particulate catalysts for 3-phase catalytic chemical processes can be tested and developed using tubular reactor based Catalytic Test Units designed by Applied Catalysts and Altamira Instruments. A BenchCAT™ is a fully automated and customized microreactor available in single or multiple stations. These instruments are typically designed with a specific application in mind. Altamira will work with you in the step-by-step process of building your customized reactor system. If you would like us to quote a BenchCAT™ please download this Questionnaire. Since a BenchCAT™ microreactor system is custom-designed to the user's needs, Altamira asks the scientist to provide some general information regarding their intended applications. More detailed information may then be required for a solution to a complex set of needs. This unit consists of one fixed bed reactor for a gas phase hydrogenation reaction. The feed module can deliver three gases and one liquid. The reactor tube is stainless steel and can operate at temperatures up to 600°C at 100 atmospheres. The reactor module uses a three-zone furnace and the flow can be operated in an up-flow or down-flow configuration. The reactor effluent is routed to a gas/liquid separator where analysis can occur. Safety features include a hydrocarbon detector integrated into the computer software prompting error messages, alarms, or automatic shutdown. This unit consists of 4 parallel reactors with independent gas and liquid feeds. Each reactor features four gas feeds and 1 liquid feed with vaporizer. The reactor tubes can hold up to one gram of catalyst and are stainless steel operating at temperatures and pressures up to 600°C and 30 atmospheres, respectively. All reactor effluents are routed through heated lines to a heated multi-position valve for sequential sampling into a mass spectrometer. Lexan covers are provided for added safety. Altamira Instruments has extensive experience in the design and construction of BenchCAT reactors for biofuel applications. The study of biofuel processes has become a significant area of research, please read more about our specific Biofuel BenchCATs. Combines a variety of temperature-programmed techniques, including, TPD, TPO,TPR, and TPRx. A complete, bench-top reactor for catalytic studies. All components are either in the gas or liquid phase and are contained in a fully automated compact package. Complete this quick form and get access to our notes and studies.